Anti-Texting & Driving Campaigns are in Full Swing Nationwide! 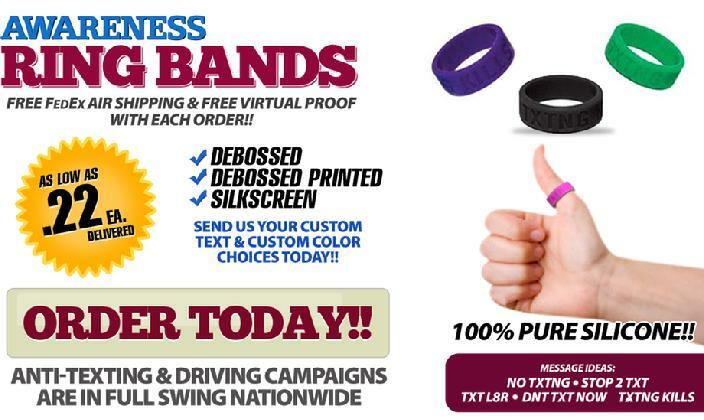 Awareness Ring Thumb Bands remind drivers NOT TO TEXT! Will beat any competitor's price! Glow in the Dark available. Price: As low as .22 delivered! Contact us for no-obligation price quote.